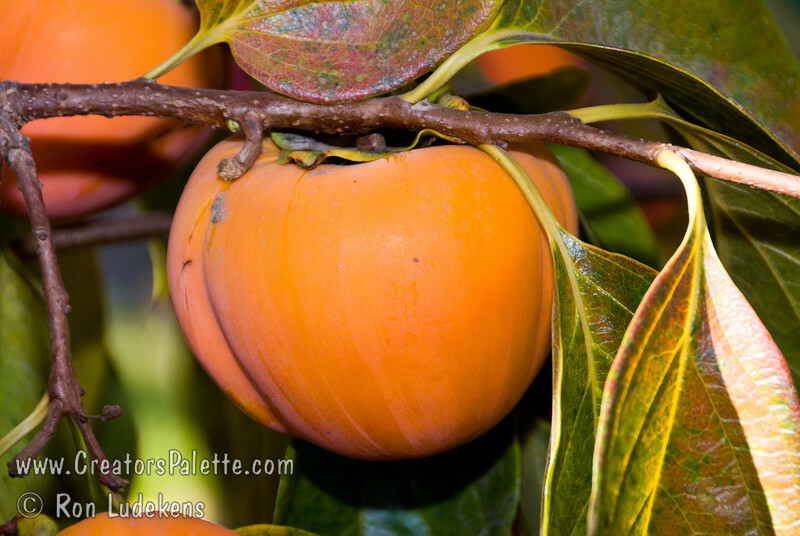 Giant Fuyu Persimmon (Gosho) - Diospyros kaki sp. Very large fruit. Round to semi-oblong, dark orange skin. Smooth texture. Non-astringent. Ripens in November.